Herbert Hoskin | Launceston Then! Herbert was born one of seven children to Walter and Emma Hoskin in 1880 at Bridgerule. His father was a blacksmith and on moving to Launceston in 1894 set up home in Station road. Walter, a native of North Petherwin, was a well known Methodist preacher having first started in 1880 at a little place called Bakeson, in the Holsworthy circuit but due to no congregation this chapel was closed and Walter actually delivered his first sermon at Derril, in the Pyworthy parish. He continued to preach after his retirement in 1928, being on five circuit plans, two of which were the United Methodist and the Baptist churches of Launceston. On leaving school Herbert worked as a Carpenter. In 1901 he married Elizabeth (Reed or Brown) at Launceston and they set up home in St. Thomas road. They had three daughters, Ellen b. 1902, Elizabeth b. 1904 and Lilian b. 1907. 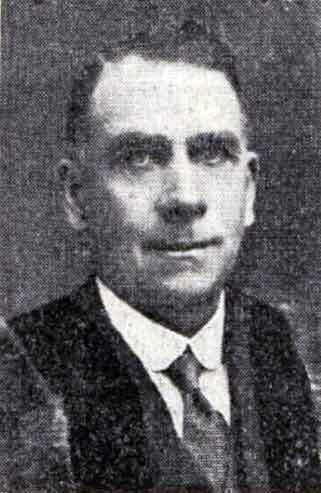 He set up a successful business as a builder which were to prove and advantage in his work on the borough council which in 1913 as an Independent he was elected to. In 1908 he took over the painter, decorator and undertaker business of Mr. F. Buckingham. In 1932 he was elected an Alderman. He was the mayor on five successive occasions leading up and during World War Two (seven in total). He was the chairman of the Public Health committee and was instrumental in the setting up of the British Restaurant during the war. The war brought about many extra duties for him yet he never waivered in the extra workload. He served as chairman of the many committee’s formed including the Invasion committee, the Ministry of Health committee, the Borough Food committee, and the National Savings committee. During his period of mayoralty he precided over the local court and in late 1944 he was appointed a Justice of the Peace. Herbert, as his father, was a staunch Methodist belonging to the Tower street church and his services as a Preacher were much in demand. Herbert was taken ill on Christmas Sunday 1944, after attending evening service at the Tower street Methodist church. Successive heart attacks continued to weaken him and he passed away at Launceston Hospital in April 1945. He was 65. 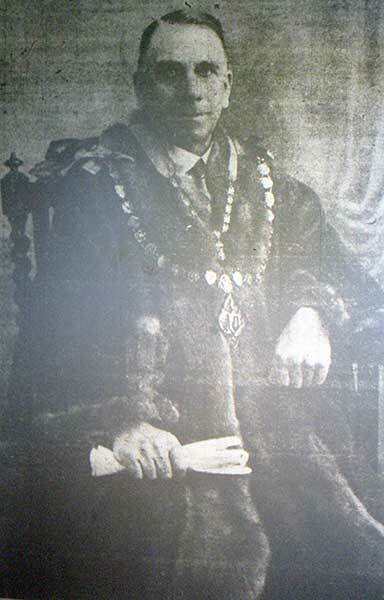 At his funeral held at the Tower street Methodist chapel, the mayor, Alderman G. E. Trood and Corporation attended in state. The church was so crowded that many had to remain outside. The mayor’s chaplain, Rev. G. Cloudesley Shovel officiated, assisted by Rev. J. Lewis Gillians with the committal taken by Rev. Leslie M. Thompson.